Nissan announced that the new 2014 Nissan GT-R Track Edition, the most coveted GT-R on the planet, will carry a sticker price of $115,710. Designed to drive the legendary 545-horsepower street supercar to even higher performance extremes, the GT-R Track edition features a specially tuned suspension, special brake cooling guides, front spoiler with carbon fiber air ducts and a lightweight quilted cloth mat where you’d typically expect to find the rear seats. Upgrades for the Track Edition’s 4-wheel independent suspension include specialized Bilstein DampTronic gas pressure shock absorbers and higher spring rates, developed from rigorous testing on Germany’s Nurburgring, according to Nissan’s official press release for pricing. 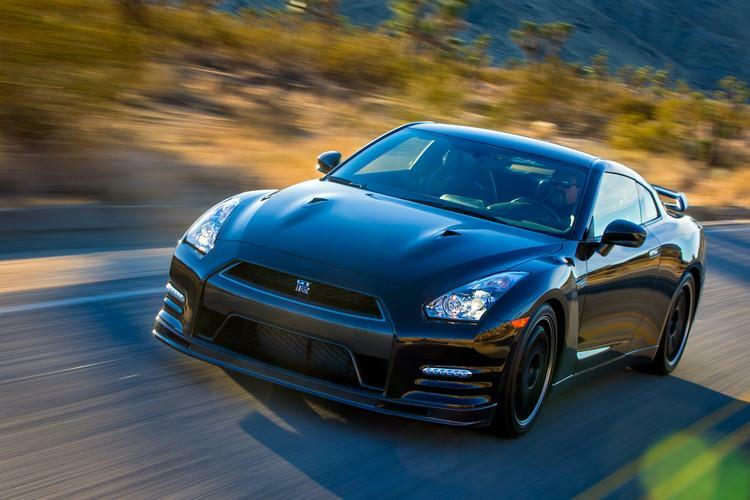 Powered by the GT-R’s 3.8-liter twin-turbo V6 engine, the Track Edition’s air guides for the front and rear brakes were also developed and refined through track testing, notes the company. 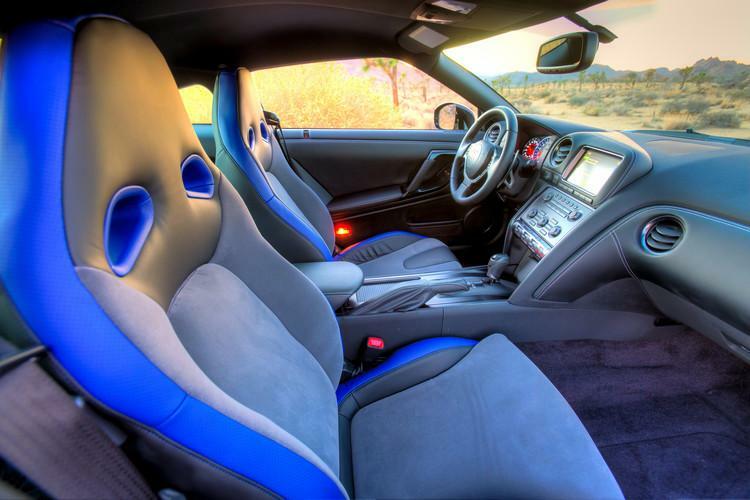 Inside, the GT-R Track Edition, which is limited to 150 units, features unique blue-trimmed high-grip front seats with a special leather and fabric element more suitable to the kind of perspiration you’d give off traveling over 100 mph and circling a raceway for hours on end. Other special performance features for the Track Edition include a handmade, lightweight dry carbon fiber real spoiler and metallic black six-spoke RAYs forged light wheels with Dunlop run-flat nitrogen-filled tires – all aimed at helping the car live up to the rep that’s made it one of the most feared rides on the racing circuit. The Track-Edition GT-R also features new fuel injectors for improve torque response in the 4,500 – 6,000 rpm range, which improves the car throttle and acceleration feel – and an oil pan baffle to help stabilize the oil pressure under high performance driving conditions (both added to all new GT-R models). Of course, if $115,000 for the Track Edition is a bit out of your range, you can always opt for the GT-T Black edition, which costs $109,300 and the GT-R Premium priced at $99,590 and still outrun most on the track.